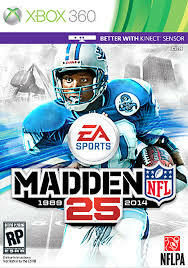 One of the biggest mysteries to sim sports gamers is why they keep buying Madden in the first place. Once you get over that fact and then try to play the only option for video game football you will quickly find yourself asking why your character in Connected Franchise Mode isn’t earning the legendary points you think they should be. Well, chances are good that you have moved the quarter length up over 7 minutes… It is as simple as that. After winning the Super Bowl in my first season (I now need to restart with tougher sliders) I noticed that my legendary points for getting into the Hall of Fame and those valued Achievements weren’t adding up. During my second season I decided to mess with the settings before I played in the next Super Bowl. What would you know – moving the quarter length to 7 minutes fixed everything. Suddenly I went from 150 points to over 600! As I try to find a way to make this into a more sim experience with 7-minute quarters I will say that you should probably set the accelerated clock to nothing lower than the default 20 seconds. It would be nice if EA actually said something (or God forbid, put a notation on the achievement like they once did). While I am enjoying my time with Madden 25 I must say that it gets rather annoying putting up with EA’s endless idiotic decisions and implementations.